karisa came over and first we pay-per-viewed Little Nicky. and even though she is the biggest Adam Sandler fan, she had to agree with me about fifteen minutes into it that it was horrible. so then we popped in this great movie called "Fun" which stars Alicia Witt when she was pretty young. but for whatever reason, it just wasn't the right pace for the evening. 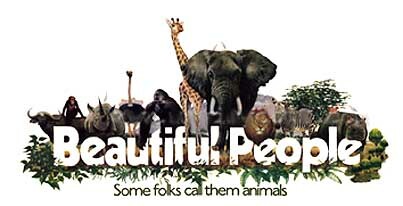 so i popped in "Animals Are Beautiful People", a really funny documentary about animals in the Kalahari desert in Africa. tonight, a whole bunch of us are going to go to the theater here in hollywood and see "Planet of the Apes". Shira was a costume assistant and has a credit in the film. so, why dont all of you go out there and help support Shira and stoke this little movie. meanwhile, i am eating this twisted crust pizza hut pepperoni and sausage pizza wondering why the Cubs even bother to pitch to Mark McGwire? they dont pitch to Sammy, why feed him anything? cbs just did an hour on Ecstacy and not only was the whole thing lame, but John Norris from MTV was incredibly lame. how is that guy still on television? all this tells me is, just like the guy who's President of the USA, anything is possible. anything.